They're Here and They are identified in a new book by LA Marzulli, "UFO DISCLOSURE The 70 Year Coverup Exposed." HAMILTON, Ontario - Nov. 5, 2018 - PRLog -- They're here! They've been here for thousands of years, making their presence known in the shadows. They might be seen by a lonely motorist on a deserted road late at night or by a frightened and confused husband in the bedroom he is sharing with his wife. Witnessed and photographed by millions around the world, their identity remains a mystery even in this high tech world. Perhaps most disconcerting, has the government been aware of their presence all along? 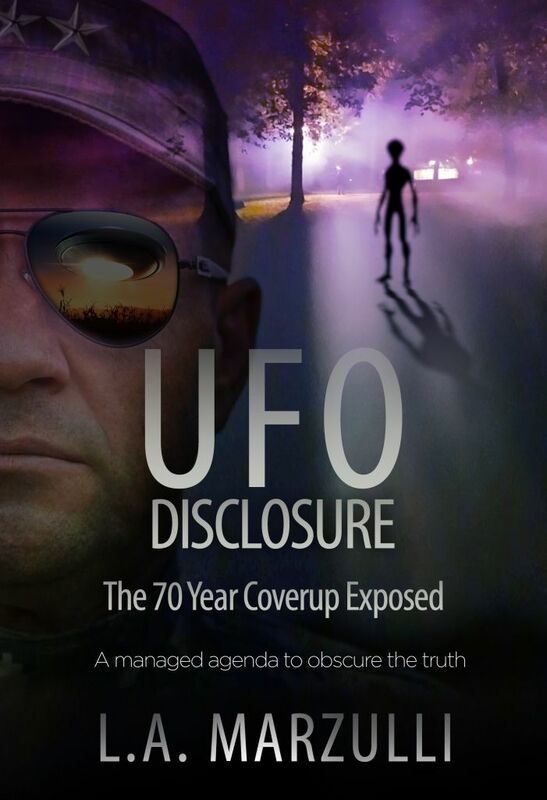 The new book by L.A. Marzulli, "UFO Disclosure The 70 Year Coverup Exposed" delves into the world of UFOs. Can Full Disclosure be soon? Rob McConnell, host of The 'X' Zone Radio & TV Show said, "UFO Disclosure The 70 Year Coverup Exposed is a must for every UFO enthusiast and will make a great and treasured gift." Order now and receive a free hour and 37 minute DVD on the UFO Phenomenon, "UFOs Are Real!"